Visitors are welcome to kingfishers Bridge during daylight hours. There are a number of open hides and permissive paths around the site as well as the 'Fen Rivers Way' which runs along the banks of the River Cam to Ely. Visitors are encouraged to sign the Welcome Book and leave their contact details for updates and upcoming events. Access to the reserve and hides is free, with disabled parking available closer to the hides. Please record any sightings in the hide diaries or leave a comment on the Contact Us page. 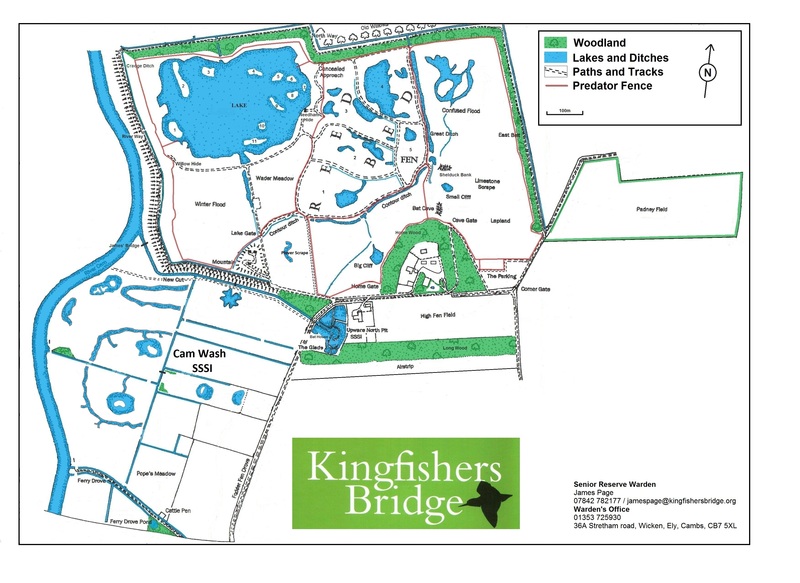 Unfortunately for safety and disturbance reasons there is no public access to the interior of the wetland, please be aware of the electric predator fence which surrounds the project and respect signs indicating areas which are inaccessible to the public. Guided access is possible outside of breeding season, please contact the Wardens for more information. 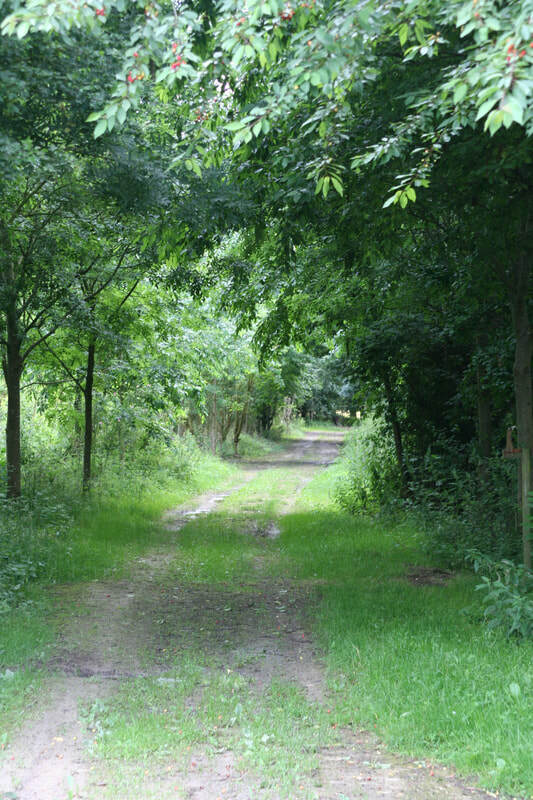 There is a public bridleway along the Cam River Bank with walking access to Ely, permissive paths give access to the hides and woodland areas around the project. A new seasonal path has been opened around the back of the project giving a circular route around the site and a closer view of the lake. The path is accessible from the car-park to the East and the River bank to the North West. The path is open from July to March but closed during the main breeding season to avoid disturbance to breeding birds. Horse riders are very welcome but please be aware that paths may be gated when the river bank is grazed between April - August. The reserve's electric fencing runs alongside some of the permissive routes on the Project, it is well signed but please take care when visiting the reserve and respect the signs indicating areas which are inaccessible. Group visits are welcome by appointment, please contact the Wardening team to arrange a guided walk. Guided walks are free and can be tailored to fit the interests and aims of the group. School groups and education visits are also possible on the reserve, we will aim to meet the needs of the syllabus for a variety of ages. Guided walks will include the Wader Meadow, Cam Washes and Reed-bed outside of the breeding season. The site may be closed to visitors at any time for management work and will be closed on the second Saturday of November, the first Saturday of December and the first Saturday of January.